With record snowfall near Tahoe and a newly extended ski season (hello, skiing in July! 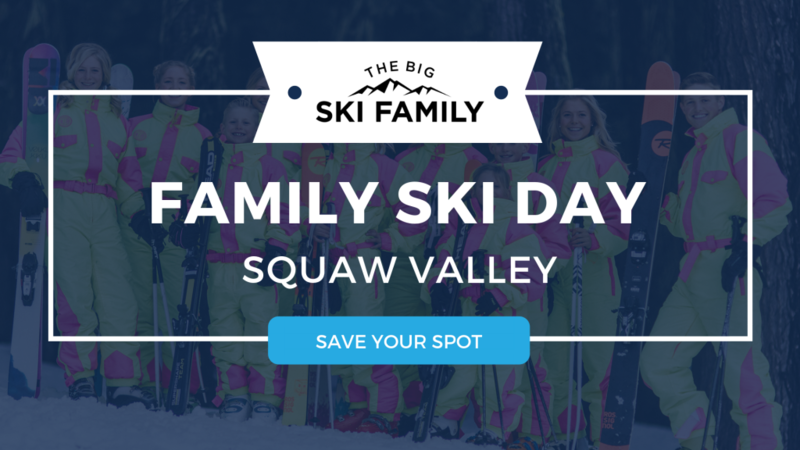 ), we’re excited to announce our upcoming Squaw Valley Family Ski Day on Saturday, March 16th. 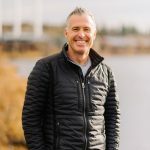 Rated one of the top 10 best ski resorts in North America by USA Today, the sunny skies, abundant snow, and epic scenery aren’t the only reasons why skiers are heading West and skiing California style at Squaw Alpine. With two mountains to choose from — Squaw Valley and Alpine Meadows — it only takes one lift ticket (or Ikon Pass) to enjoy 42 lifts, 16 bowls, 6,000+ acres, 270 trails, and 450 inches of annual snowfall. With two mountains, 6,000 acres, and 14 different zones, Squaw Valley and Alpine Meadows each offer a unique mountain experience. We love that the Squaw Valley Alpine Meadows website helps you choose the best zones for your liking. It allows you to filter through different terrain and ability levels so you can decide on which of the two mountains you want to start on first. However, even despite being able to filter through all of your options, it’s still hard to nail down your choices! Be sure to check out the different zones that are available at Squaw Valley here. Admission to the Olympic Museum is free with your Aerial Tram ride and is a great way to reflect on some of the many magical moments that have taken place at Squaw Valley. It’s safe to say that heli-skiing is probably on every skier’s bucket list, right? With the Chair to Chopper Challenge, skiers and snowboarders alike are encouraged to track their total vertical feet on the SquawAlpine app and work towards accumulating 10,000 vertical feet. 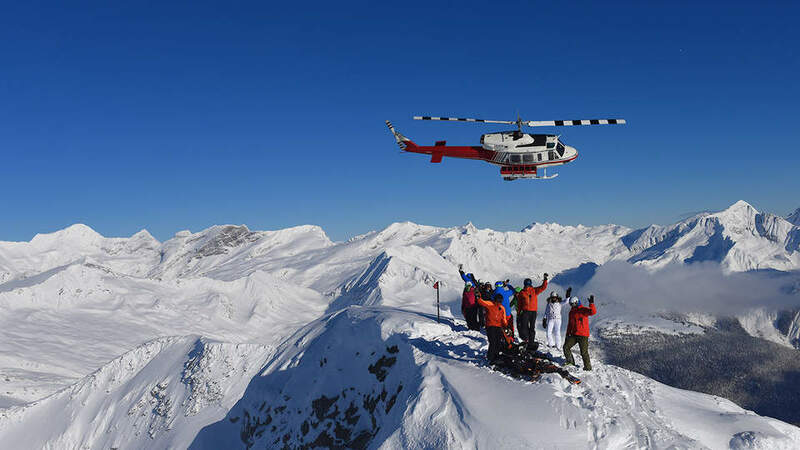 Once that goals been hit, you’re automatically entered into the Chair to Chopper Challenge where one extremely lucky winner will win a 5-day heli-skiing trip. Meet Us at Squaw Valley! We’re looking forward to hosting our first Family Ski Day in California! Join our “Squaw Squad” and RSVP for the big day. If you’re not already doing so, be sure to follow us on Instagram and turn on our notifications (learn how to do that here) so you can know when we share meetup locations, clues for the scavenger hunt (so you can win some sweet prizes! ), and more. Can’t make this Family Ski Day? No worries! Check out the rest of our Season #1 Winter Tour resort locations and come see what skiing together as a family is all about.